Coming of age films featuring young black girls tend to be a rarity in Hollywood. Gems like “Pariah,” “Crooklyn” and “Beasts of the Southern Wild” tend to be few and far between. In “Girlhood” French filmmaker Céline Sciamma explores the journey from adolescence to womanhood with a group of young black girls with a tender and sympathetic eye. Karidja Touré stars as Marieme, a teenager who escapes the confines of her oppressive home life by joining a girl gang run by the tough and charismatic Lady (Assa Sylla). Marieme soon changes her name to Vic (short for “Victory”) as she finds strength and a newfound purpose amongst this new sorority. “Girlhood” skillfully weaves the intersections between race, gender and social status, as well as wonderfully nuanced commentary and shifting identities in public vs. private spaces for young women. After glowing reviews at its 2014 Cannes premiere, “Girlhood” has gone on to receive four César (equivalent to the Oscars) nominations, including a Best Director nod for Sciamma and Best Breakthrough Performance for Touré. This week they were honored with the Special Jury Prize at the 20th annual Lumiere Awards in Paris. 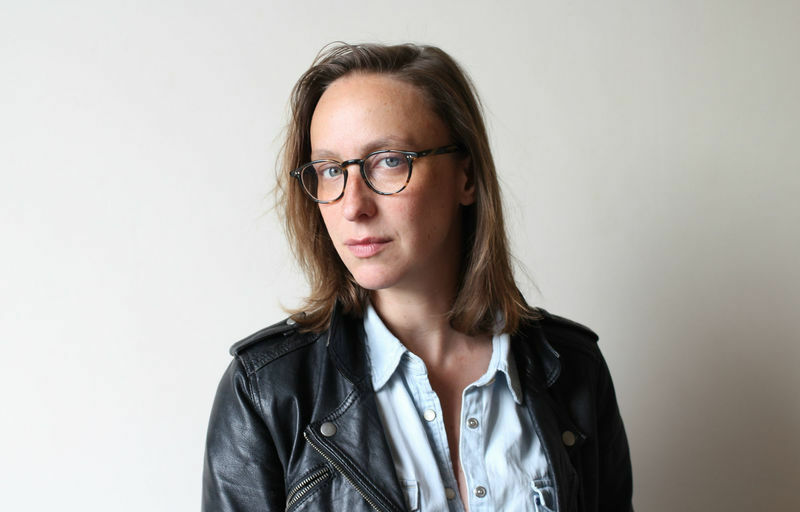 We spoke to Sciamma about her inspiration for “Girlhood,” securing the rights to one of Rihanna’s biggest pop hits, and the lack of diversity in French filmmaking. 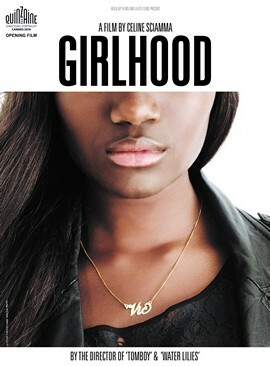 What was your inspiration behind “Girlhood”? I wanted to do a more contemporary film. With my other projects, you really can’t tell when they are set. I wanted to have a more modern heroine and talk about friendship and sorority. The whole project has a classical element like an emancipation novel, a heroine who has to face the time and place she lives in, but I wanted to give it a new face. Karidja Touré and Assa Sylla are so wonderful in their roles. How did you find these two actresses? For the Vic character, we were looking for the Holy Grail. It’s a very challenging role and the performance had to be solid, with the character going through so many identities. We did street casting and with Karidja she wasn’t trying to show me who she was, she really became the character. I thought to myself “I can work with this girl and build this character together.” The camera loves her and she just has that beautiful face that you can forgive, which is so important. Lady is the leader of the group and I wanted to cast a non-leader in real life that could play a leader with a weakness she’s trying to hide. Assa just gave it her all; when the cameras stopped rolling, she was this really shy and sweet girl. She was very committed to the role. You pick the actors, but they also pick you. That played a huge role in the casting. One of the most powerful and emotional scenes in the movie is when the girls lip-sync to Rihanna’s “Diamonds In The Sky” in their hotel room. Why that particular song and what steps did you have to take to be able to secure the rights? “Diamonds In The Sky” was released around the time I started writing the screenplay and I really fell in love with the song. That was actually one of the first scenes I wrote. I chose “Diamonds” partly because it was a huge hit but also because of the lyrics; imagining those words in the mouths of my characters. It was an anthem of sisterhood and friendship. We had a really modest budget, so we went to the record company to secure the rights. During the editing process we found out we couldn’t get the rights unless we got Rihanna’s consent. So we sent a clip of the scene to her and her management team and they said it was beautiful. One of the recurrent themes I picked up in “Girlhood” was the presence of male authority and how the female characters react to that dominance. There is no safe space for girls. The neighborhood outside and even at home, the men make the rules and there is an authority the girls have to live by. But when they go to a public space like in the city, it’s kind of a stage where they get to perform and be better versions of themselves. For the intimate spaces, they have to rent a hotel room so they can be who they truly they are. It’s not about men being the villains. They’re kind of objectified; they’re an archetype much like the femme fatale in film. But people may have a problem with that because men are rarely objectified. It’s about who is dominant. With Vic, the movie shows how women can sometimes reproduce the very societal pressure they’re trying to escape from. This year’s Oscar nominations have been heavily criticized for their lack of diversity in the acting and directing nominations. You are the only woman director nominated for a César this year. Is there also a problem of diversity in French filmmaking? Omar Sy (“The Intouchables”) is only Black actor to win in the history of the Césars. Karidja is the second Black actress ever to be nominated for a César. Yes, we do have a diversity problem in the industry. I mean, we do have a lot of younger women directors in France. There are very few Black French directors or screenwriters, so we are still working on that. We have the same issue but with a different history. Next Article: Evolving Hearts: Richard LaGravenese on “The Last 5 Years” Previous Article: Sundance 2015 Interview: Alfonso Gomez-Rejon of "Me and Earl and the Dying Girl"